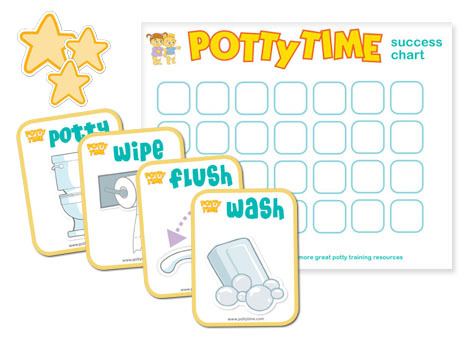 Potty Time App: Get a call from Rachel, virtual stickers, and more! Hi, would it be possible to get these flash cards? I have a daughter with Down Syndrome and she’s 5 and not fully potty trained yet and would appreciate any help I can get! If so please email back and I’ll give my address. Our flashcards are available as a free download on our Resources page! Hello – At 22 months reminding him and taking him frequently is still okay. As he gets a bit older and more independent he’ll be able to go on his own more and more. You could also try our Potty Watch which he can wear and which will do the reminding for you! It’s also okay to ditch the pull-ups and stick with underwear if you think he’s ready. Just have him help clean up wet messes and wash up, which will help teach him some of the responsibility as you go. Good luck!